CCV Racing (Cruising Club of Virginia) has been serving Southern Bay racers since 1964. We are pleased to report on our recent events, new 2017 events, and our 2017 season closers. CCV Racing’s mission is to provide quality regattas, grow our sport, and promote Southern Chesapeake Bay racing activities. In August we conducted our Moonlight Triangle and Founders Races. The Moonlight Triangle Regatta offers an evening start and this year added the additional challenge of a pop-up thunderstorm. Our Founders Race honoring CCV founders was met with great sailing conditions. The results from both regattas are posted on our website, ccvracing.us. In 2017 we launched a revised website and new regatta, the Summer Solstice Ocean Race. We introduced two new training classes for advanced crew and beginner skippers. These additions round out our existing training classes and races. 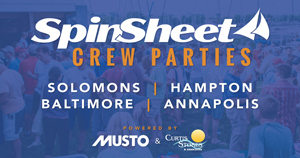 Our CCV Sailboat Racing, meetup.com, and other social media tools continue to increase participation in racing and crew building. 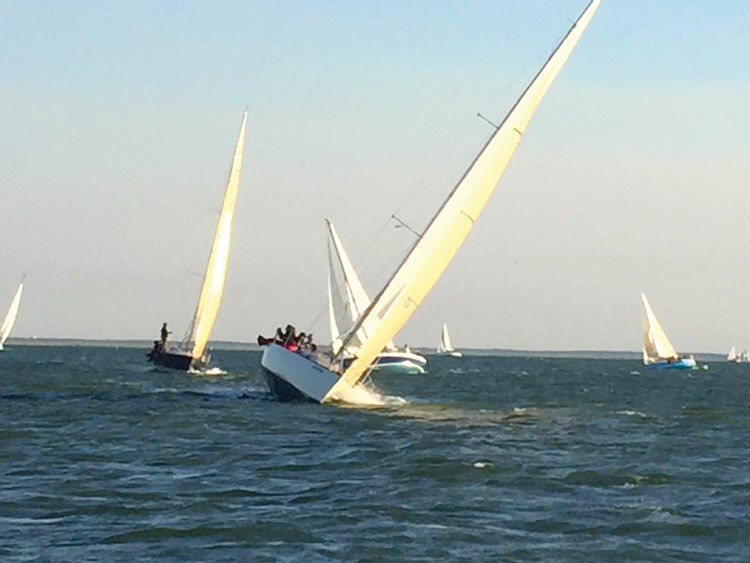 Octoberfest Racing, CCV Racing’s answer to “don’t let the party end,’ is a series of Wednesday evening races that pick up where Hampton Yacht Club’s (HYC) Wednesday night races end. The Octoberfest series keeps the mid-week fun on the water going just a little bit longer. We have posted on YouTube a video from last year’s series. Come celebrate with us at our 2017 awards banquet Saturday, November 18. Tickets are available online, as well as at the door. These parties are legendary. The downtown Hampton waterfront is a great place to spend a Saturday night.